Realized for the residence at Espace Croix-Baragnon « The territories of the bear », sculptures « INK-33 » are inspired by the organic forms of animal habitat. 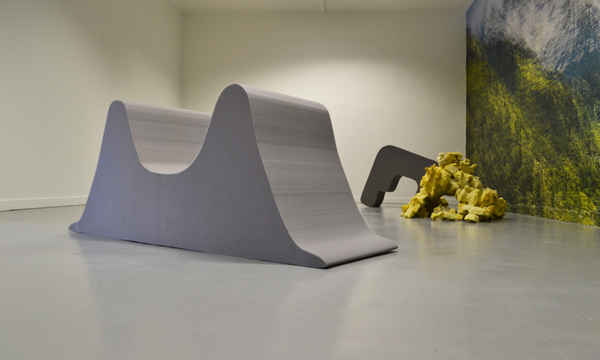 They are initially designed models and then become autonomous objects in exhibition space. Recalling seats or real estate design, they seem to be ready to accommodate the human body. Yet the spectator has the right only to contemplate them, to circumvent them, to guess them.